Description SERVICED HERE! Non-Smoker vehicle, 2yr/100,000 POWERTRAIN WARRANTY! FULL FACTORY WARRANTY REMAINING! JUST ARRIVED. BETTER HURRY! Leather Seats, Satellite Radio, iPod/MP3 Input, Bluetooth, Keyless Start. MP3 Player, Aluminum Wheels, Keyless Entry, Child Safety Locks, Steering Wheel Controls. ENGINE: 2.4L I4 MULTIAIR (STD), TRANSMISSION: 9-SPEED 948TE AUTOMATIC (STD). 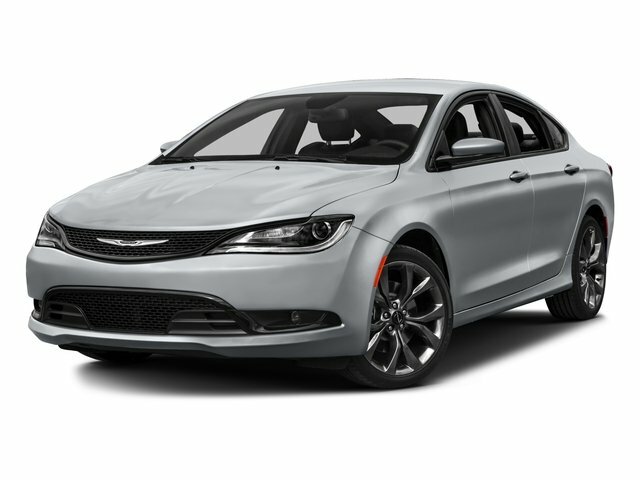 Chrysler S with Bright White Clearcoat exterior and Black interior features a 4 Cylinder Engine with 184 HP at 6250 RPM*. "At 16.0 cubic feet, the 200's trunk offers more space than the Honda Accord, Nissan Altima and Mazda 6." -Edmunds.com. Great Gas Mileage: 36 MPG Hwy. Was $12,995. This 200 is priced $200 below NADA Retail.